... and Web Production Planning. Expert Designers, Developers & Internet Marketing Strategists Since 1995. From Concept to Delivery, We Promise Results! We focus on small to mid-size businesses looking for a seasoned Internet marketing company to manage their online marketing efforts and would like their account to have the attention not available at bigger agencies or web dev companies. Our strengths are in our experience, a results-oriented approach to our campaigns and more importantly, listening to our clients’ needs. Everybody’s selling online. With the right system, it is a secure low-cost option that makes online shopping easy and streamlines administration. Our E-Commerce Solution is designed with all the tools required to build a successful online store and shift your products. You will be able to launch your virtual store without having to invest lots of money at an early stage. 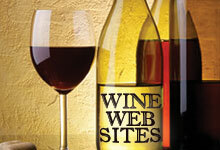 We provide expertise in all forms of internet marketing strategies for big and small businesses alike. 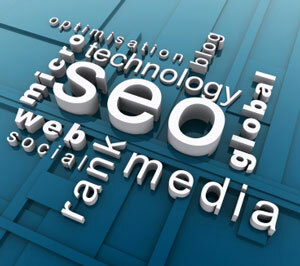 Two of the most important strategies include SEO & SMO. If you want your company to be searched for and found on the web, search engine optimization (SEO) is crucial. We offer wide-ranging experience in obtaining high level ranking with the major search engines and keep current on the latest developments and changes on search tools. Social Media Optimization (SMO) is all about building relationships with your target audiences and developing a two-way dialogue. You talk directly to those who buy your products/services, getting immediate feedback on what you are offering. We include services such as setting up your company’s Facebook, Twitter, etc. 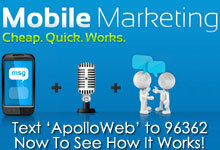 © Copyright 2012 Apollo Online Inc.